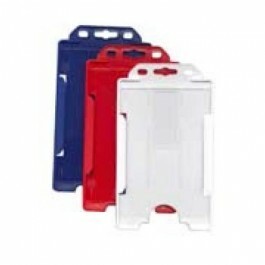 Open faced holder (badge) for standart cards - 30mil. Open faced holder, horizontal and vertical. You can choose different colours : white,black,dark blue,red,blue or clear!